Today is my son’s 11th birthday. This past weekend we had a small party for him and 4 of his buddies. This was huge. For the past two years he has not wanted a party – too many people, too much unknown, too many potential triggers. His solution to avoiding all of that was opting out of a party when he turned 9 and again when he turned 10. This year he asked to do “something fun, but not crowded or loud” with “only 4 friends.” We talked it through and came up with pizza & cake at home, nerf gun battles at the park, and seeing the movie Middle School at the theater with the reclining seats (where you can reserve your seat thereby assuring he doesn’t have to sit next to anybody he does not know). It was a full and fun afternoon. There was joy and silliness and so much laughter. I haven’t seen or heard my son that happy in a very long time. It was soul stirring. There is so much to be thankful for when I look back on that party, but I know without doubt that when I think about it years from now the one thing I will remember most is a plastic sun catcher shaped like a cat that one of the boys gave to my son as a part of his gift. My son uses “cuddly animals” as a way to self soothe. When he is overwhelmed, if he can pet, or look at, or sometimes even just talk about kittens or puppies, he can calm his anxieties. I wasn’t aware that this was something he had shared with any of his friends, but he did. At least one of the 4 boys who came to the party knows about this – and he went out of his way to make a gift that would make my son happier and calmer on bad days. 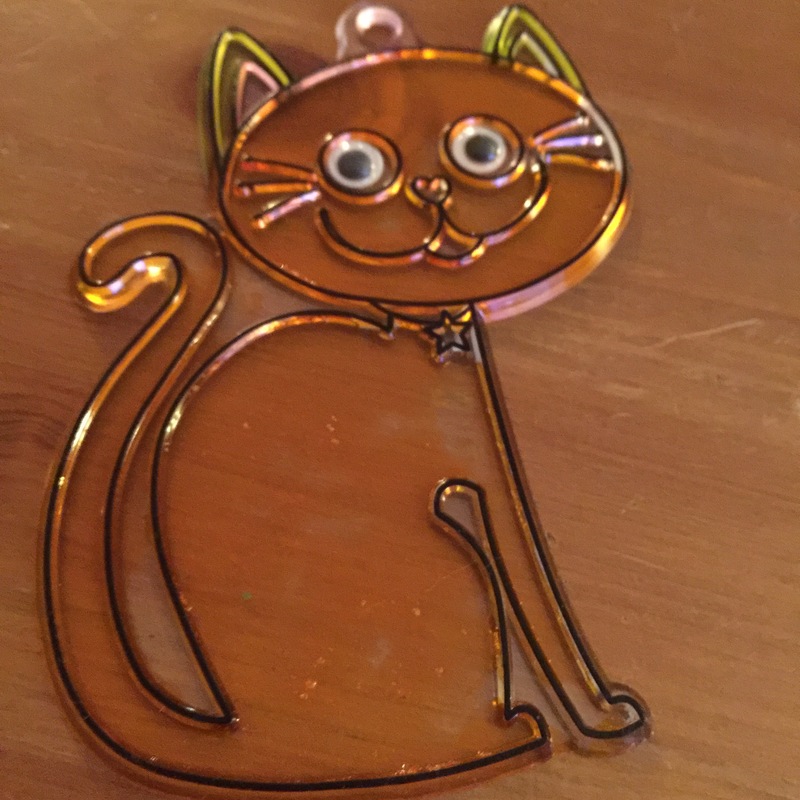 This thoughtful 10 year old boy made my son a plastic sun catcher shaped like a cat. When my son removed it from the wrapping, his friend said “I thought this would make you happy.” I don’t think my son has ever received a more thoughtful gift. Never has something so small meant so very much. Prev If Not Here, Then Where?